Maximus Mischief will look to remain undefeated through Saturday's $350,000 Holy Bull (G2), one of three Road to the Kentucky Derby series events on Saturday. The 1 1/16-mile Holy Bull will be held at Gulfstream Park, where Maximus Mischief has been based following a victory in the nine-furlong Remsen (G2) at Aqueduct on December 1. "He's already been a mile and an eighth, which I think is a pretty good advantage. It puts us a little bit ahead of the curve with the other three-year-olds around," trainer Butch Reid said. "We have an opportunity to run him a mile and a sixteenth, a distance we know he can handle, and the timing was just perfect for us." A blowout winner in two starts at Parx prior to the Remsen, where he earned 10 Derby qualifying points, Maximus Mischief will add another 10 should he win the Holy Bull. Points of 4-2-1 will be awarded for second, third, and fourth, respectively. Mihos enters off two straight wins, including a neck triumph in the $100,000 Mucho Macho Man at Gulfstream over a one-turn mile for trainer Jimmy Jerkens. 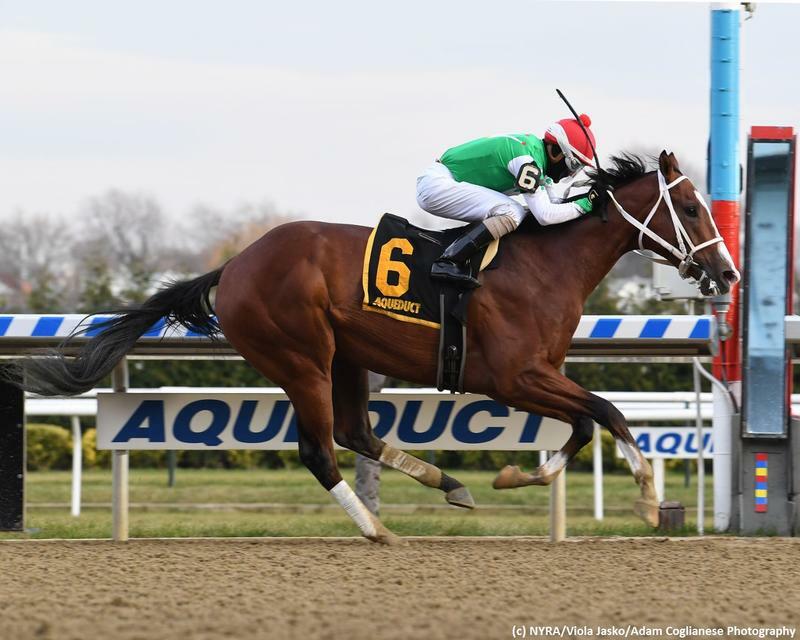 Also lining up are the multiple stakes-winning Garter and Tie, third in the Mucho Macho Man; Epic Dreamer, sixth as the 6-5 favorite in the Springboard Mile at Remington Park in December; and Federal Case, a son of Gemologist who is two-for-two for trainer Todd Pletcher. A total of 10 colts and geldings were entered for the Holy Bull, which can be watched and wagered on at TwinSpires.com.